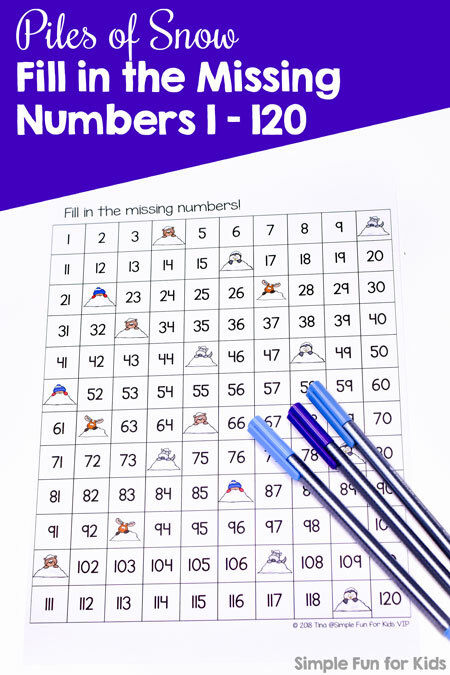 The file includes one no-prep page: Print and practice number skills! 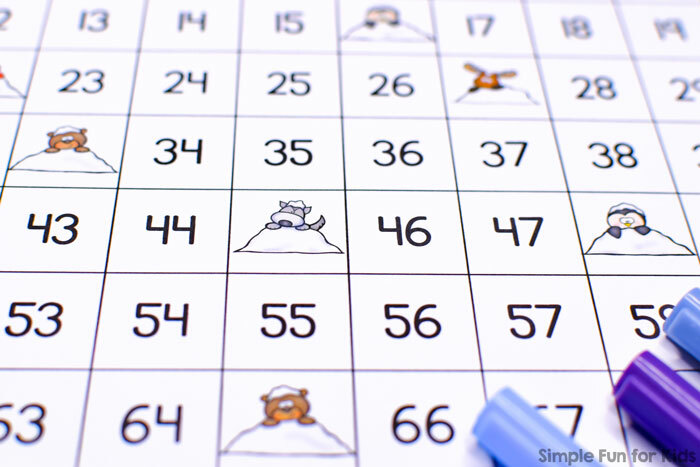 The page shows a 120 board with a total of 18 numbers buried in piles of snow with cute animals (moose, bear, husky, and penguin) and a little kid peeking out from behind them. 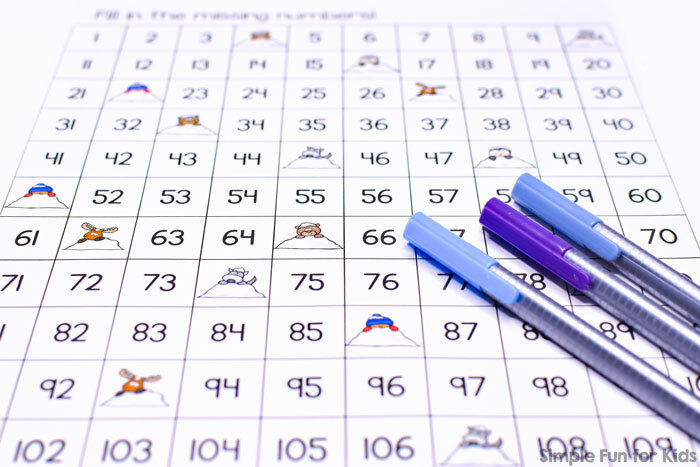 The kids’ objective is to find out which numbers are buried/missing and either name them or write them in the squares. 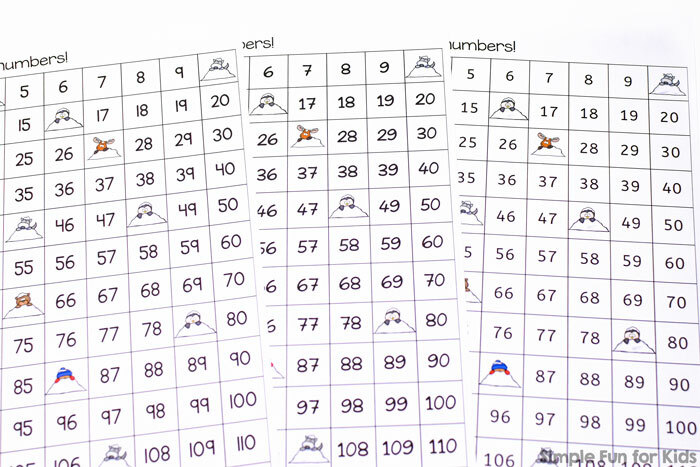 If you need a different number font or black and white versions, the VIP file has all of that. 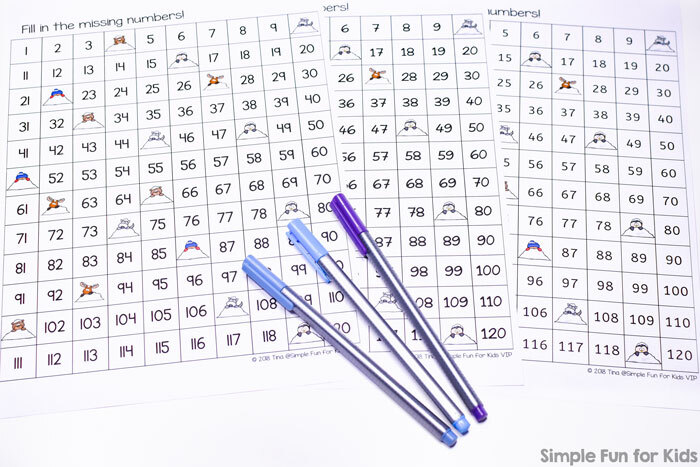 Download your Fill in the Missing Numbers Printable! 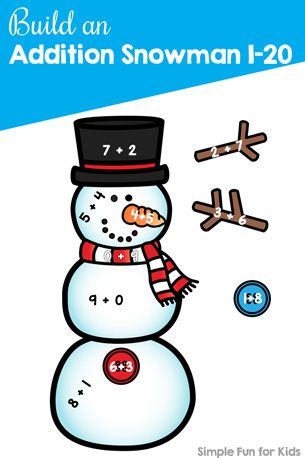 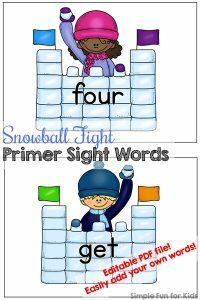 Want a fun, hands-on, wintery way to practice addition? 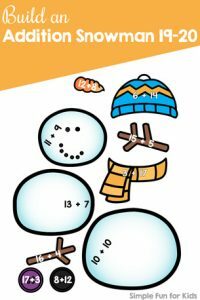 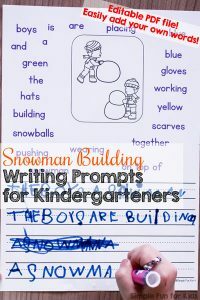 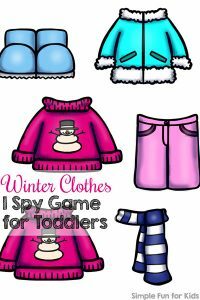 Are you looking for more winter-themed resources?